Insurance is a big part of ownership expenses, yet it’s often forgotten in the showroom. As you shop, remember that the car’s design and accident history may affect your insurance rates. Some cars cost less to insure because experience has shown that they are damaged less, less expensive to fix after a collision, or stolen less. Auto insurance also covers different aspects of damage and injury. The term “first party” means you and “third party” means someone else who was involved in a crash with your vehicle. 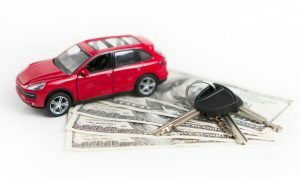 In this post, we’ll cover the key components of auto insurance. This pays for damage or injury you or your vehicle may inflict on others. It is generally limited (in some cases to only $10,000 but may be several hundred thousand dollars) so that if you severely or fatally injure someone, the liability insurance will not be adequate to pay the costs. For minor or moderate damage or injury, insurance companies generally negotiate payments, but for major ones, there may be lawsuits. This pays for crash damage to your own car when no other party is found to be at fault for the accident. If you lease your vehicle or have an outstanding loan on it, you will be required to have collision damage insurance. This pays your expenses when someone else is at fault, but lacks sufficient insurance or personal resources to pay for the damage or injury. The amount typically covers property damage, but may not cover serious injuries. This covers the cost of some types of damage not related to crashes including theft. Additional forms of insurance that may apply when auto insurance doesn’t cover loss are health insurance, which may pay the cost of more serious injuries, life insurance which pays if you are killed in a crash and umbrella policy insurance which may pay liability costs beyond what is covered by your auto policy. An umbrella policy may be important if you want to protect assets such as savings, your house or business, or other major assets.